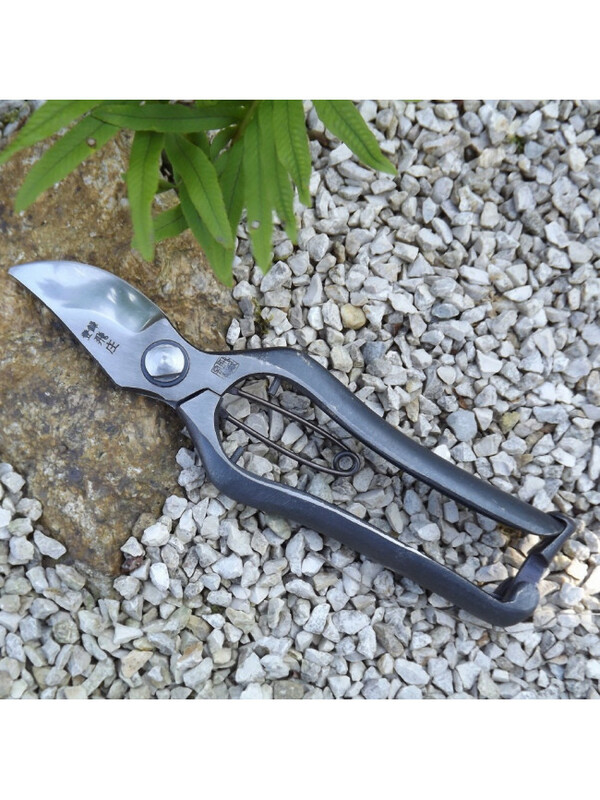 These very high quality carbon steel secateurs are hand forged from single blocks of steel, which makes them even stronger and more heavy-duty. 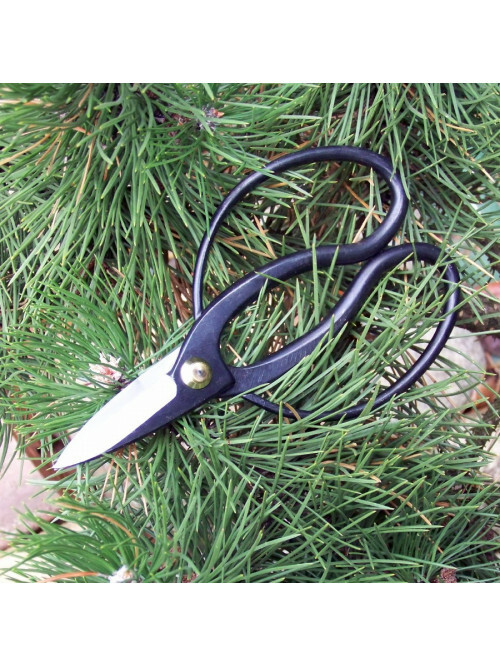 Their incredibly light weight, design and ergonomics make them extremely comfortable to use and give them incomparable cutting efficiency. 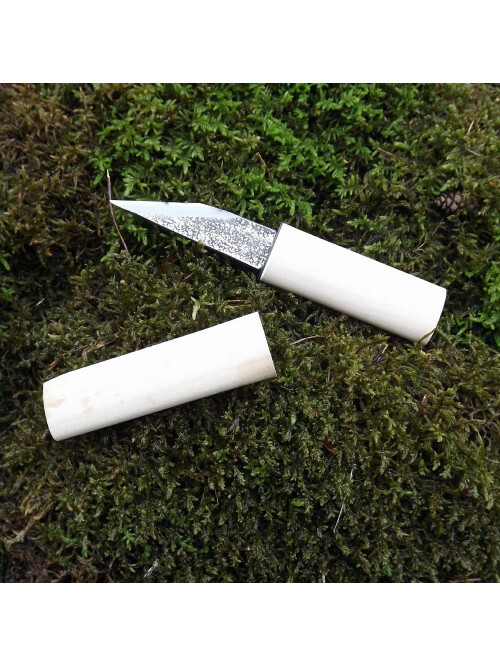 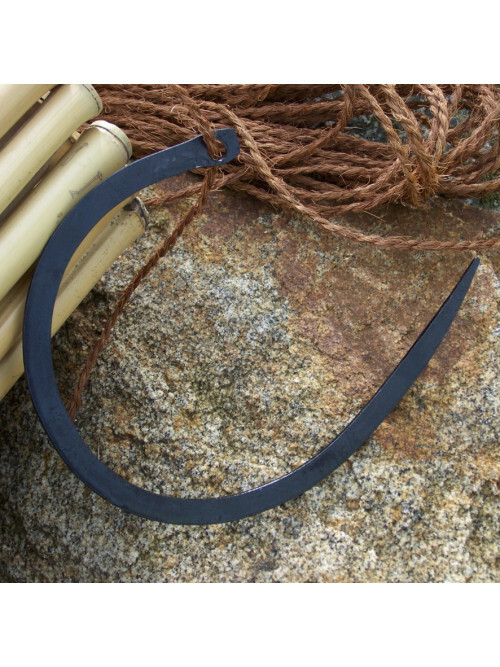 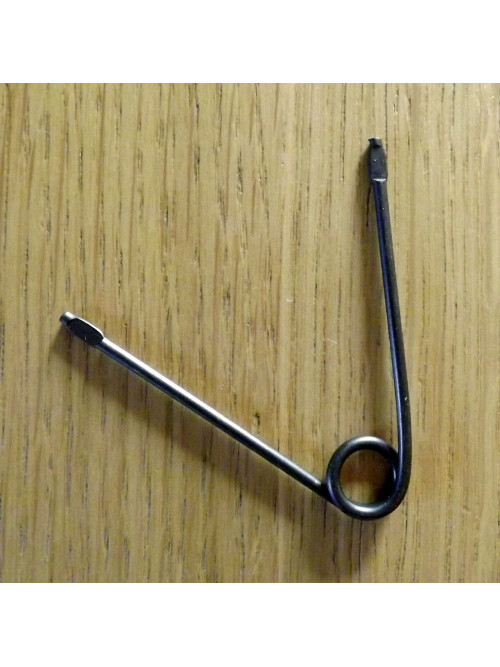 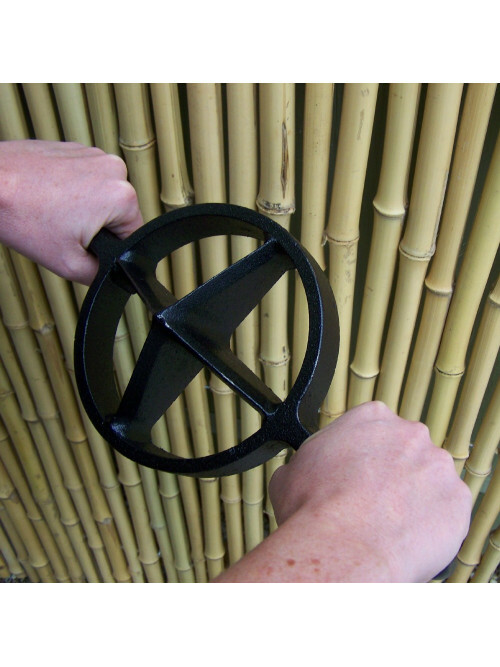 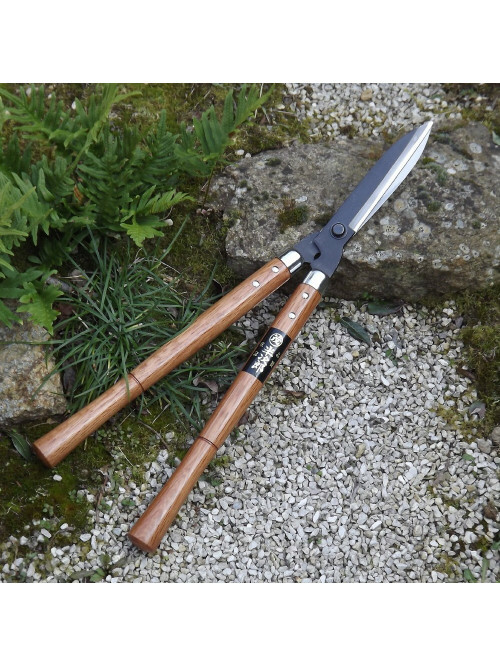 The curved end to the blades makes it possible to cut in places that are difficult to reach and often encountered when growing niwaki for example. 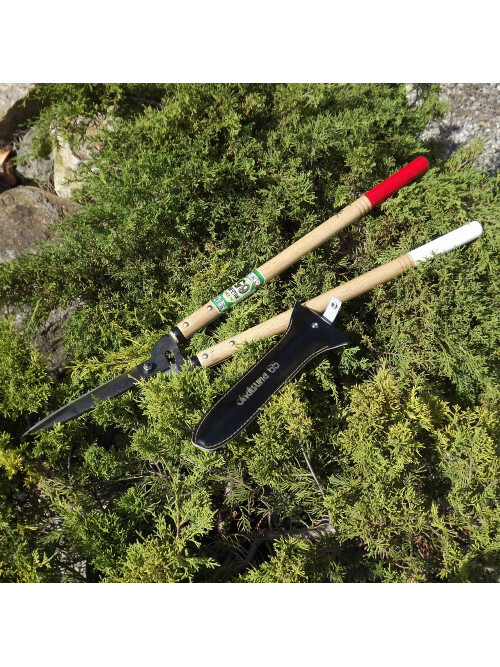 Its handles, with their non-slip covering provide increased ease and safety in use, both when wearing gloves and with your bare hands. 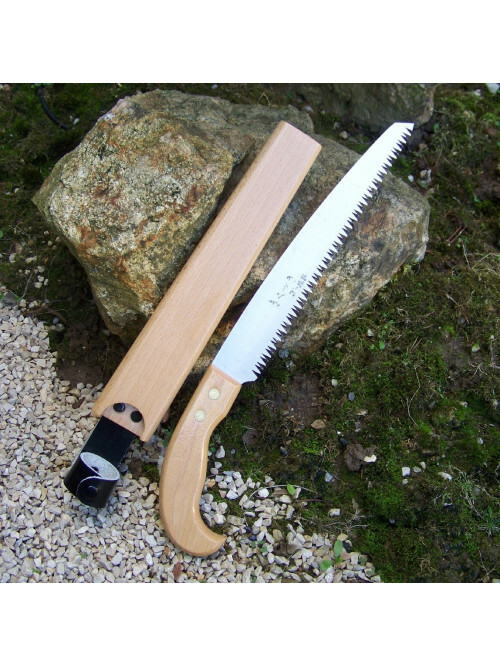 Its large cutting diameter gives a clean smooth cut. 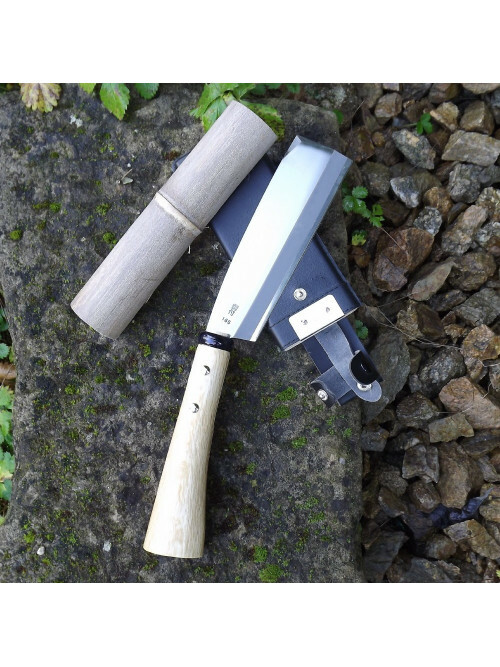 DOUBLE LEATHER SHEATH for secateurs and foldable pruning saw - a really essential accessory for having tools always be on hand, stored tidily and available. 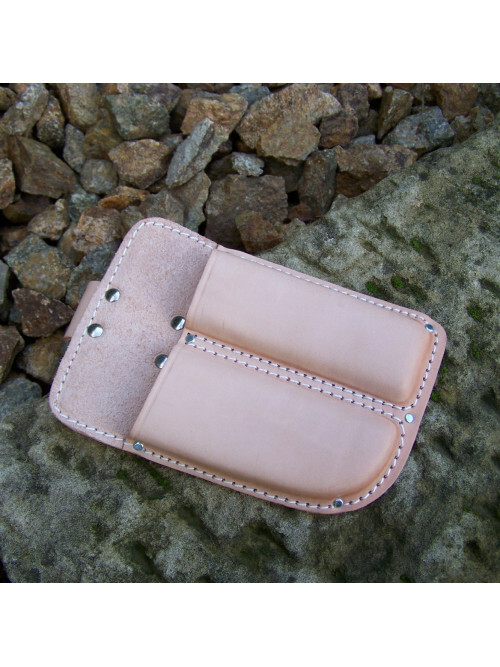 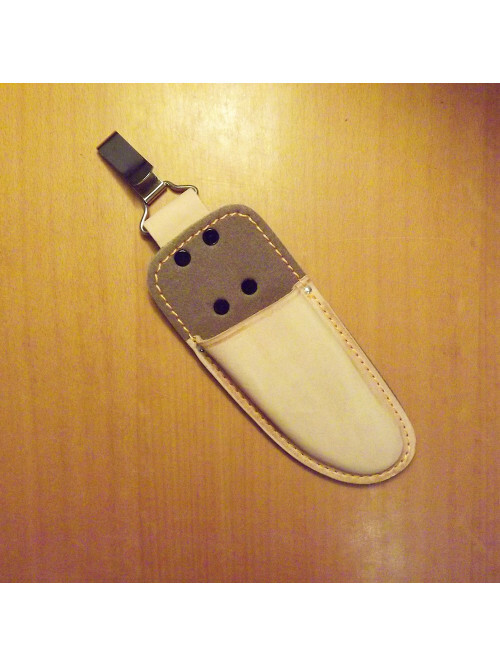 LEATHER SHEATH for secateurs with metal clip - a really essential accessory for having tools always be on hand, stored tidily and available. 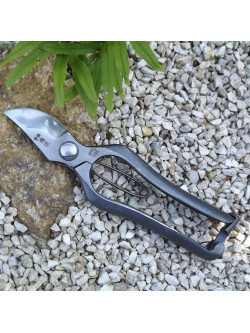 SPRING for Japanese secateur 180 mm and shears-scissors.